Every house out there needs some redecorating from time to time. You might feel like conducting some works especially if you have lived in one place for a while and especially when it seems that everybody in your family got bored with the current decor. You might want to ask your family members how they feel about the decor in your living space and if something according to them should be changed. If you are undecided whether you should go for more traditional elements of your decor or rather modern ones, you can still have the best of both worlds if you opt for the type of decor that contains both traditional as well as modern elements. When you look at the above picture, you can clearly see how easy it is to combine traditional and modern elements in just one carpet as well as in just one room. The Americans use the term “transitional” in rugs which basically means it’s a traditional design with contemporary design elements. 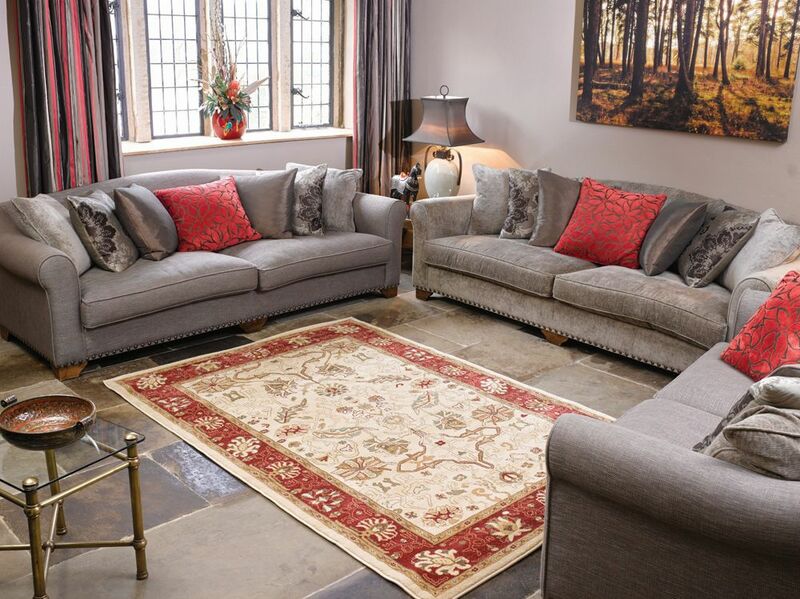 In the UK, Zeigler traditional rugs have modern colouring, but at the same time they keep their traditional character. On the other hand, the modern colouring allows them to stay up to date with the latest trends in traditional rugs. Transitional rugs are a great way to add a completely new element to a room that has previously contained either a traditional or modern rug. It doesn’t have to mean that only those who are undecided opt for those rugs. The combination becomes more and more popular as more and more homeowners out there realise the benefits of it. Such a combination can completely change the atmosphere in a modern room making it just slightly traditional. What is your opinion on the topic? Would you be willing to make some changes in your living space to accommodate both traditional as well as modern elements? Tell me what you think.